Are you suffering from canker sores? You’re not alone. This condition affects most people at least once in their lifetime. Of course, there are groups of people who are more prone to canker sores than others. Canker sores is a subject that has also been covered in general dentistry because it affects your oral health. Let’s review some misconceptions about canker sores with an aim to educate people based on factual information. Many people believe that canker sores are caused by the herpes virus. Your family dentistry expert will tell you that this is far from the truth. Unlike cold sores and fever blisters, canker sores are not transmitted from person to person. You may have minor or major canker sores. Minor canker sores rarely require any treatment. They simply go away with time and leave no scarring after they heal. On the other hand, major canker sores can be extremely painful and need to be treated immediately. Your dentist Richmond Hill will evaluate your condition and determine the best approach to treatment based on how severe the canker sores are. The main cause of canker sores is still not known. However, there are factors that are known to increase one’s risk of getting canker sores. For instance, fatigue, stress and trauma can lead to frequent breakouts of canker sores. 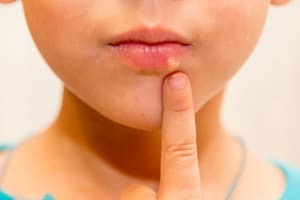 Canker sores will heal on their own. This may take 7 to 10 days. Treatment is usually administered to help alleviate the pain and irritation that comes with having canker sores. The local dental office Richmond Hill can prescribe some over the counter medication like pastes that are made using benzocaine which helps to enhance healing. Topical medications that are applied directly on the affected area. Mouthwashes are also very effective in relieving the pain and inflammation that comes with the sore. Use ice chips to relieve the pain of cancer sores. Put one in the mouth, target the affected area and allow it to melt slowly in order to relieve pain and inflammation. Do not consume foods that are too acidic such as citrus fruits or foods that are spicy. They will only make the sore worse. If you are getting canker sores because of diet issues such as a vitamin deficiency, consider taking supplements as prescribed by your physician. Always use a brush with soft bristles. Hard bristles not only cause damage to the gums but also expose them to serious infection. Prepare your own home-made mouth wash using baking soda and water. Just mix a teaspoon of baking soda and add half a cup of water then use it as a mouth rinse. Zinc lodges are also commonly used to help with the pain and inflammation that is caused by a canker sore. Drinking fresh carrot or celery juice can also help to prevent if not treat canker sores. If you are planning on using any of the above-mentioned home remedies, make sure you contact a healthcare professional first.